For decades dog lovers have read headline after headline positioning one breed or another as “dangerous.” Most recently the newest “fall dog” is the pit bull. This article and accompanying infographic will take a look at pit bull facts and just how accurate the label of “dangerous dog” fits this dog as a whole and look at the real facts behind bully breeds. What Is the Difference Between a Pit Bull and a Bully Breed? After much research, it is our opinion that the “Bully Breeds” include a wide-range of dog breeds (see list below) but the only dog that is a true pit bull is the American Pit Bull Terrier, which is recognized by the United Kennel Club and American Dog Breeders Association. We know this is widely discussed and disagreed upon but for the purposes of this article, that is our position. The term “bully breed” is used to refer to a large group of various breeds of dog that hail from the same root breed. Dogs that belong to a bully breed are all derived from one particular type of dog known as the Molosser. The Molosser is an Ancient Greek breed that was characterized by a short muzzle, large bones, a large frame and pendant shaped ears. Originally, Molossers were bred with a range of other dogs that resulted in the characteristics found today in the various bully-type breeds. These dogs were bred as guardians of both property and livestock. Some owners would also use their dogs in sports like bull-baiting which many believe is how the term “bully breed” came about. Unfortunately, many owners have recognized their potential as fighting dogs and, in turn, have created an unfortunate alternate use of the term “bully breed”. What Breeds Are Bully Breeds? As you can see from this extensive list, the American pit bull terrier is just one of many breeds. In fact, more than a handful of the breeds on this list surprise even the most anti-bully breed proponents. Looking over the list of bully breeds above many of these breeds are unknown to general dog lovers which is perhaps one reason why so many dogs are mischaracterized as pit bulls. While these breeds all share a common ancestry and have similar features such as the flatter shorter snout, being able to distinguish between different bully breeds is important. Without being able to separate one bully breed from another, it is easy for pit bulls to be pinned as the “breed that bit that boy.” That is not to say that bully breeds, in general, are bad dogs, they just happen to be most frequently selected by bad owners. Did you know that currently only five percent of all of the dogs found across the United States are pit bulls? Overall there are approximately 78.2 million dogs throughout the United States, 3.91 million of those dogs are pit bulls. However, 40 percent of dogs in animal shelters are characterized as bully breeds, and 20 percent of those are called pit bulls. The mischaracterization of all bull breeds as pit bulls is not the only area where pit bulls get the short end of the stick. Unfortunately, as public opinion of this breed declines and the banning of bully breeds builds momentum, many more facts are turned around. Who hasn’t heard about the incredible amount of force exerted by the jaws of a pit bull? The amazing 1600 pounds per square inch that the pit bull is said to exert through their bite is actually just like many other breeds – around 235 pounds per square inch. Which dog has the highest pounds per square inch bite force? The Kangal which measures in at 743 pounds per square inch of bite force. Even with this figure in mind though, does this mean that the Kangal is a dangerous breed? Not necessarily: It means that if a Kangal were to bite someone or something, it could be capable of exerting 743 pounds per square inch of bite force. It does not mean that this dog will bite or that it will use that much force with a bite. What this data could mean also is that if a dog does exert that much bite force, the resulting bite could be much more severe than a bite from a less powerful dog. And that means that bites from this type of dog are more likely to be reported than bites from smaller, less powerful dogs leading to a news reporting bias. No question these Pit puppies are adorable! Are Pit Bulls Good Dogs? Asking the question whether pit bulls are good dogs is the same as asking whether disadvantaged children are good children. A dog’s temperament depends on a variety of factors including breeding and upbringing (much like children.) 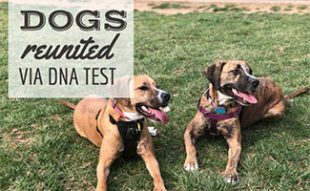 What we do know from statistical analysis is that 86.8 percent of American pit bull terriers have passed their temperament testing according to the American Temperament Test Society, Inc. This is a higher number of American pit bulls to pass their testing than collies, beagles and even golden retrievers. Of 122 different canine types tested by the society, pit bulls ranked fourth for passing temperament testing. Pit bulls, like any other dogs, have the opportunity to be great dogs. Are Fatal Pit Bull Attacks Common? When you turn on the news, it seems like the only dog attacks that ever make headlines are attacks by pit bulls and attacks that result in death or serious injury. Few people take the time to learn the facts behind this type of dog; they simply take what they are fed by media news outlets. So just how common are fatal pit bull attacks? According to research, an individual is 200 times more likely to die from taking over the counter aspirin than from a fatal pit bull attack. An individual is 60 times more likely to be killed by a falling coconut than they are to be killed by a pit bull attack. Additionally, a person is 16 times more likely to die by drowning in a five-gallon bucket of water than they are to die as the result of a fatal pit bull attack. Yet, how often do you hear of people dying from taking aspirin or from drowning in a bucket of water on the news? Many pit bull and bully breed haters are colored by this media reporting bias. What Does This Media-Driven Bias Mean For Pit Bulls? With such a bias against pit bulls and select bully breeds in general, how is the pit bull affected? Perhaps the biggest indicator of this is by taking a look at research from animal shelters around the nation. Approximately 60 percent of all dogs that are taken to shelters are euthanized every year. As we have already mentioned, of all of the dogs in animal shelters currently around 40 percent are classified as bully breeds, and 20 percent are classified as pit bulls. Only 48 percent of the nation’s shelters place these pit bulls up for adoption, another 30 percent of shelters put these dogs up for adoption under special circumstances. Most disappointing, however, is the fact that 22 percent of the nation’s shelters euthanize dogs that are categorized as pit bulls regardless of the individual dog’s disposition. This practice of breed discrimination is wrong not only because perfectly healthy and happy dogs are being put to death because of their appearance, but also because they aren’t being given a chance due to ignorance and bias. What Can Be Done To Help Pit Bulls And Bully Breeds? If more people were familiar with the array of dog breeds within the bully breed category, perhaps they would be less inclined to judge one particular bully type as a “bad dog” — whoever heard of someone banning Boston terriers from an apartment complex because they were a bully breed? Judging a dog’s temperament by its appearance is like judging a person’s personality by the color of their skin, something one would hope humankind had learned from in its history. One of the best things that can be done to advocate for pit bulls and bully breeds is to spread the word about just how expansive the bully breed category is. Share with your friends about how the Boston terrier and Pug come from the same origin as the Neopolitan mastiff and the pit bull terrier. Encourage people not only to educate themselves about the difference between individual breeds but also about the sheer ridiculousness of judging an entire classification of dog based on a select few incidences that receive sensationalized media coverage. Ask people to stop and think when was the last time they heard of a mixed breed dog bite fatality? If you do want to better understand how you can protect yourself and your Pit from potentially risky situations, we recommend that you contact a dog liability insurance expert to gain some perspective on your options. What do you love about pit bulls and other bully breed dogs? Maybe just go to your local shelter and take a pit for a walk. It will change your life! I have had 2 pit bulls. One was a Red Nose, and the other is an American Pit Bull Terrier. Both are amazing! I highly recommend Pit Bulls because all I have seen with my dogs is they are loyal, very well tempted,loving, affectionate, caring, etc. Hell, they are part of my family. I love them with all my heart! Best dog breed ever. This article: you’re more likely to die from licking a stamp than a pit bull. Seems legit. Lol. How about we compare it to another breed? I came to this site looking for answers and statistics and it’s just a biased pit bull owner shoving an agenda down my throat. I want to form my own judgement based on quantifiable data in every category not just where it fits the bias. Anyone know where I can find that about pits in comparison with other dog breed? Thanks! I have a 16 year old APBT she is the most loving, loyal girl there is they are all it’s all in how they are raised there wonderful dogs!! I have 1 yr old blue nose pit named Bo. I’ve had several dogs over the years and number of different breeds and Bo is probably the least likely to bite of any dog I’ve ever owned. He’s never even growled at a human… Not once. He’s sensitive to praise and scolding and seems more attuned than most dogs to human actions emotion and expression- the opposite of a violent or dangerous animal. I’ve seen a few nuts on here talking trash about a dog breed. If you think you are so superior than a dog,why go out of your way to click on this article and spew nonsense? Just hateful, useless words. This is exactly why so many people value dogs over humans. I’ve known more good dogs than bad. Each breed has their own characteristics but you have to meet each individual dog to know if it’s dangerous or not. I know for a fact my pit bull mix is an angel. He is like any other dog. All dogs growl at certain people they are suspicious of(because they are protective). Some dogs don’t get along with each other. Some have more energy than others. Is it so hard to understand that? I don’t care that in one specific case someone got hurt by a dog and it happened to be a pit bull because i hear 10 more stories with labs, huskies, German Shepards, e.t.c.. For someone to suggest a whole breed is evil is moronic. If anyone is aggressive and dangerous it’s HUMANS. For those who are true animal lovers, and have a heart, will agree. The lovely pitbull piece of garbage landed me in the hospital with broken hand and mauled ear . my poor service dog also was mauled .. I wish I had something to put him down with but I don’t carry a weapon. Anyone that owns these killer Pit bulls should be put in a cage with them and mauled to death. All u pitbull lovers should really think a million times over if u have children and own this killer breed. They are evil killer dogs that need to all be put to death. I’m sorry that you got bitten, but would you say what you did if you were bitten by a German Shepherd or Lab or Husky? My guess is probably not. Here is some advice for you, get over your hate. In the long run it will do much more damage to you then the bite you suffered. Have a good life! That sounds like a you problem. And why are you even on this website. I have so many questions! Where did he mail you? Did he send your dog to the same place? How many stamps did he need? Maybe you mean he mailed a package to you and your dog, which is incredibly thoughtful, SUCH a PB thing to do. My PBs get mail all the time bc I use them as my username, my dogs get a ton of stuff from ebay. Of ALL dog breeds- Pitbulls have the highest incidence of lethal dog bites- by far- and its a statistically significant landslide. And when u break down the facts- they are virtually the ONLY breed known to have the ability- or tendency- to kill ADULTS (kids are most often killed among all lethal breeds). Comparing Pitbull biting deaths to tylenol overdoses is irresponsible. When choosing a dog breed- one should understand that- in general- if u buy a Pitbull there is a small chance it will kill you. If you buy ANY other breed- you are significantly reducibg that chance and most breeds have a zero chance! Good to know! First of all, get your facts straight before you post them. Tylenol is not asprin. Duh. If you buy a car, there is actually a pretty decent chance that will kill you. Pretty much everything else you say is factually inaccurate or a misrepresentation. Good game. The list of “Bully Breeds” is absolutely false. Bully breeds are compiled of approximately five breeds, depending on reliable sources, it may fluctuate between 4-6. Brachycephaly type dogs do not even remotely resemble a pit style dog. Pit bulls have very dominant physical characteristics and are easily recognizable due in part to all the truthful negative publicity they receive. If this weren’t a biased pro-pit article, I’m sure my comments would be displayed. Weird how there are abusive pro pitters spewing garbage but anti pit comments don’t need make the cut! Dang. Sounds like censorship and a media platform with an agenda! Your comments were in moderation. We typically moderate comment Monday through Friday first thing in the morning. All of your comments were made after moderation on Friday, so they were in the que during the weekend. The reason we don’t allow every comment to be published immediately is to prevent spammy comments and attacks towards other commenters. We do not censor comments by only publishing those that have a certain view. Its useless to try and make sense of people like this that love animals over humans. Their life is so screwed up that need an animal instead. They make all kind of insane excuses for Pit bull dogs that its sounds like a recorded broke record repeating over and over. Fact is they don’t care because they aren’t right in the head to began with. The IQ level is so low its amazing. Their house stink, they stink and kiss stinky dogs in the mouth. They wouldn’t care if a pit killed 50 kids in one day. All they know how to do with their feeble little brain is blame owners regardless of what happens. But it really don’t matter who owns what when they kill someone because they are disgusting animals that won’t let go. You all make make me sick. You’re so fake its ridiculous. Having empathy and affectionate for a non-human doesn’t make anyone stupid. If fact, I think the ability to develop relationships across a species indicates a level of emotional maturity and is where the rubber meets the road if you truly value life. Now, I certainly care about my dogs more than I do for most humans and I certainly have not heard anything from you that confirms the superiority of humanity and I’m certain you couldn’t explain to me why you think your life is more valuable to the world than that of another species, but for you folks keeping score at home, loving an animal is not mutually exclusive from loving humanity or caring about their problems as well. Thank god that IQs aren’t judged on accurate punctuation and grammatically correct sentence structure. People need to understand that for example humans,dogs or horses can have all the love & care possible & there will still be a few bad apples. On the other hand they can be abused & no affection & still turn out wonderful. Sometimes one of them will turn out bad no matter what the circumstances. Interestingly enough I have read that the highest rate of dog bites in U.S. is from the most popular dog in the U.S., the labrador retriever. The news media is a big problem. To draw more attention to their article they will for example say truck-driver crashes into car carrying a family of 4 killing everyone. Making it sound like a monster tractor-trailer when it was some poor guy in a pick-up & it might not have even been his fault. Same with dog attacks, not worried about the facts about what breed of dog it actually is. To sensationalise their article they say pit-bull attack when most times it wasn’t. But they don’t care to check the facts, all they care about is selling their article. Intelligence, HEART, amazing threat discernment, trainability, unsurpassed AWESOME physical athleticism……Loyalty and willingness to please, protect, prevail In every situation…shall I continue??? How many dog breeds are there? Is that what you are asking? That answer varies depending on the source. how do I know what my Bully is mixed with??? 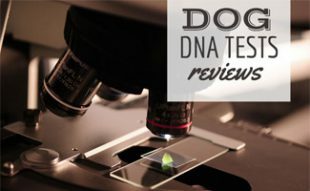 You could do a dog dna test to see what breeds make up your dog. I love dogs with all my heart, but just want to point out that this info is not only biased, it just plain lies. A 5 year study done at a Philadelphia hospital of dog bite injuries found that “almost 51 percent of the attacks were from pit bulls, almost 9 percent were from Rottweilers, and 6 percent were mixes of those two breeds.” There is no arguing that pit bulls are inherently vicious, as they only represent 5% of the dogs in the US (3.91 million out of 78.1), yet account for over half of all bites. Just because they don’t kill every time doesn’t mean they’re safe, and to state otherwise is not only irresponsible, it’s dangerous. You basically ignored this entire article, spouted a few “facts” taken out of context and used your implicit biases to tell us why you think that pit bulls are inherently dangerous. First, the 5% figure comes from the dogs that are registered by its owners. A lot of people dont register their dogs, especially in neighborhoods where pit bulls are prevelant. An actual number of pit bulls out there is much higher. Second, as the article stated pit bulls are misreprented because most people cant tell pit bulls apart from other similar looking bully breeds. Dog bites are reported by people who were bit or their parents. If a dog looks like a pit bull they will say that it was a pit bull regardless of whether that is accurate or not. 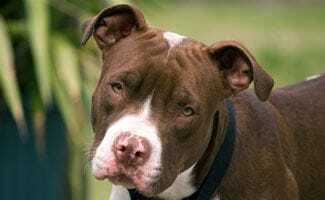 Third, pit bull and other bully breeds attract bad owners and bad people in general. Anyone can walk into a dog shelter and walk out with one of these dogs in an hour of time. I know this because I have adopted both of my dogs from rescue shelters. Also, adoption fees for these dogs are much lower than for other breeds. Pit bulls need discipline, boundaries, lots of exercise and some sort of a job/purpose. They also need love, affection and to be socialized with both people and other animals. If you cant provide these things for your dog you should not own a pit bull. Further more, drug dealers and criminals use these dogs as guard dogs, breeding dogs and fighting dogs. They predisposition their pit bulls to be aggressive and violent by beating them, using them as bait dogs, making them fight for food, etc. Fourth, if you have ever owned a dog or know anything about dogs you should know that a dog is a dog regardless of what breed it is. They all communicate and react to their environment in similar fashion. Dogs process information in a very different way than humans. They rely on body language more than anything else when dealing with strangers. 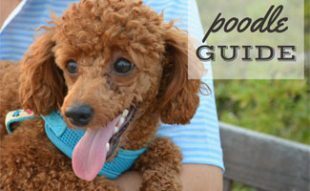 Even a small child can appear as a threat to a 50-70lb dog, especially when standing and leaning over the dog to pet them. A grown up human is about 3 times the size of a pitbull. How would you feel if a 15 foot tall stranger would walk up to you and try to pet you? It is humans job to recognize what a dog is telling you with its body language. I own 2 pit bulls and have been around dozens (maybe more) of others without ever getting bit. And my dogs have never bitten anyone in 7 and 5 years that I ve had them. Fifth, all dogs bite. I prefer that mine bite chewing bones, play ropes and other toys. For those dogs whose owners’ irresponsible behavior leads them to biting people, the only thing that separates pit bulls from the rest is their size, strenght, athletic ability, bite power and people who own them. It is unfortunate that the media has labeled pit bulls this way without holding people who own them accountable. It is also unfortunate that dog fighting and dog abuse cases are not taken more seriously. Sixth, before pit bulls were known as fighting dogs they were known as nanny dogs because of their protective nature combined with their gentleness towards children. This article also states a true fact that pit bulls pass behavioral tests at a higher rate than most other breeds. To state that all pit bulls are dangerous because bad owners turn some of them to be that way is a lie. And you sir, are a liar for repeating that lie. Seven, Philadelphia is one of the highest cities for dog fighting if not the highest in the country. Which may account for the high number of strays and aggressive Pitbull and Pitbull mix type dogs running the streets after being thrown out of fighting when their usefulness is done. These dogs have been abused they’re fearful of humans they’re starving and probably sick. These dogs do not make themselves mean. They shouldn’t be punished for what they’ve been made to become. People should be punished! I love how it’s the people’s fault when their beloved pet turns in them. Ignoring statistics doesn’t make you right. It makes you uneducated. Thank you Darlene. I get so frustrated and angry at people who act so self-righteous regarding their “knowledge” of pit bulls. In fact, I’m more likely to bite them instead of my pit! Listen up!! I absolutely love the way you handled and answered this John Doe goon. You said everything correctly and made sense of what you shed light on with great examples. As far as biting goes, heck, Humans bite people (whether in domestic violence or fights or not) all the time and it is not reported by the news media either. John Doe’s bite is abusive when not altogether true. Teach your friends and family to respect all living things. Stop scaring the masses unnecessarily and get a bunny rabbit to guard and protect your family and home. Spouting undeniable facts doesn’t make him the liar. It makes you naive and unobjective. And no, most people don’t lump mastiffs and Boston terriers into the pit bull category. That is this article denying facts and skewing the truth. Pit bull deaths related to people and animals are a real thing. They fill up the shelters, cause millions of dollars in insurance claims, and they’ve been known to turn without provocation. Even the ones who haven’t been abused, neglected or unsocialized. But nice try. And when your kids gets shredded and killed, you will hopefully see the truth. Did you read this article? Provide a link to this Philly study, please. Were 51% of attacks actually from the American pit bull terrier, or did they classify all or multiple “bully breeds” in that 51%? If a pit bull or any other breed of dog attacks someone or another animal, it is because of how the owner has raised and or trained that dog. Some dog owners are ignorant and think it is something to brag about to have a dog that is vicious. No breed of dog is inherently vicious. It is made that way by a human being. Then you are completely ignoring the facts of loving pits that were beloved family friends until they killed a family member or neighbor. Numbers don’t lie. Deflecting onto other breeds doesn’t take away from the facts. And pits have very dominant characteristics. I’ve never met a single person who has mistaken an 40 lb Boston Terrier for an 80 lb pit. Nice try though. 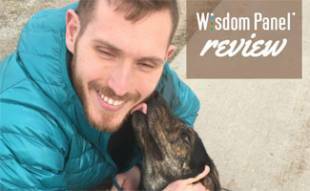 1- Dogs don’t attack for ‘no reason.’ We may not be able to discern it, but biting is not a healthy dog’s go to for conflict resolution. It is an act of last resort when the dog has accepted the situation is so dangerous or threatening that they may lose their life and choose to meet that threat with violence. 2- Numbers don’t lie but they can certainly be manipulated. 3- Your dominance theory of dog behavior is tired and has already been put to bed. They are strong dogs physically and terriers as a whole are challenging breeds to own. Not a single PB that I have rescue or fostered has ever ‘challenged’ me, if that’s what you mean by dominance. You are attempting to paint an entire breed based on sensationalized media stories. 4- A 40lb Boston Terrier? Now who exaggerates? I wonder how many pit lovers trust their dogs when neighbor kids are riding their bikes. The issue of animal related deaths caused by pits is staggering. Instead of people dropping their pits off at shelters after they’ve shown aggression so an unsuspecting victim gets their face ate off, they should be euthanized humanely. That would put even more truth into their reputations and dispel the ‘Nanny dog’ myth. You are mixing cause with effect. Every few years, a dog breed becomes popular with the criminal set. Dobes, Rotts, GSDs, Cane Corsos, wolf hybrids, etc. Those dogs are used for their intimidating appearance and are put to nefarious uses. So if you have a higher percentage of criminal owners using their dogs for criminal conduct, of course those dogs are going to have negative public interaction. If 51% of robberies are committed with hand guns, does that mean gun owners are inherently dangerous? If he’s displaying aggression, he needs to be put down! This is what’s filling up our shelters and the shelters then give them a new bio and new name and don’t disclose the owner expressed concerns regarding aggressive behavior. That makes the owners and the shelters dualy responsible for what comes next. BobbieJoe, your Rock Sweet Rock is waiting for you! Majic sounds like a great dog! Neither of those 2 numbers are accurate. If you don’t know why, it’s time to do some objective research. The numbers are staggering against pits.